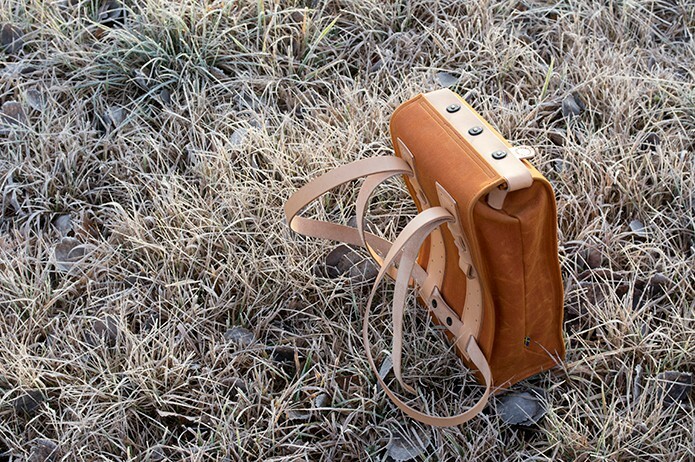 Concepts that can often be thought of as paradoxical – such as historic & contemporary, modernism & heritage, craft & commerciality, functionality & elegance, capitalist & charitable – come together seamlessly within the unique and internationally acclaimed Swedish design company, Svenskt Tenn. 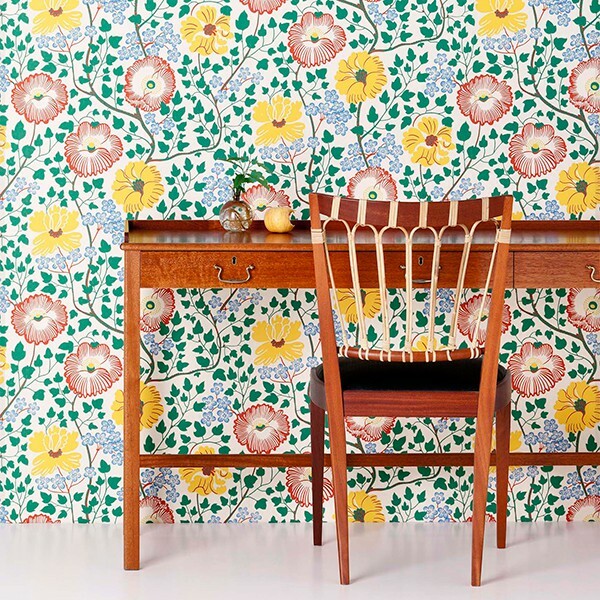 Ever since its conception in the mid-1920s by Swede Estrid Ericson, followed by the [some say] ‘perfect’ partnership formed with Austrian Josef Frank, Svenskt Tenn has been a leading light in interior design style; in fact, early customers included (and still do) the Swedish Royal family. 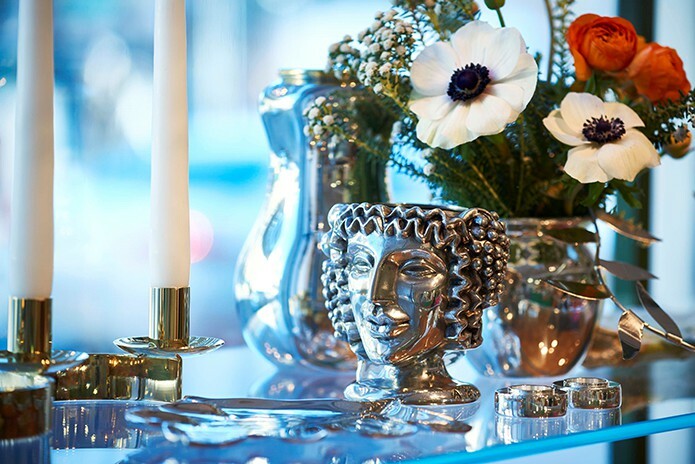 Its roots began in pewter (Svenskt Tenn means “Swedish Pewter”), where the ancient material of pewter, due to its malleability and aptitude towards the formation of modern lines and shapes, was the main focus. Yet this quickly diversified into an eclectic celebration of all sorts of different materials by all sorts of different craftsmen – an all-embracing concept which Josef Frank himself termed ‘accidentism’, where design comes together in an organic and unforced way, to create a natural, random and extremely aesthetic result. Fast forward into the 21st Century, and today the owners are in fact a charitable body, the Kjell and Märta Beijer Foundation, following the legacy left by Ericson, which means that profits from Svenskt Tenn are invested in research into environmental and social sustainability (subjects extremely close to our hearts here at Merchant & Makers). So, we are delighted to be able to share with you an interview carried out during a recent visit to Stockholm with Marketing & Creative Director, Thommy Bindefeld, on the past, present and future of Svenskt Tenn; in particular its role in the perpetuation of Swedish design heritage and culture, which in turn leads to the support of local craftsmanship and the overarching ethos of sustainability via creating special objects of form and function. Thommy Bindefeld, Marketing & Creative Director of Svenskt Tenn. Image © Svenskt Tenn.
For those unfamiliar with Svenskt Tenn, please can you give us an overview as to what you do? Svenskt Tenn is an interior design store based in Stockholm with a unique combination of historical and contemporary design and renowned for its elegant and bold patterns. Svenskt Tenn means “Swedish Pewter”, as the store was originally founded as a pewter workshop by the founder, Estrid Ericson, in 1924. Ericson viewed pewter as one of the most modern materials to work in, being easy to produce and capable of making wonderful, modern shapes. 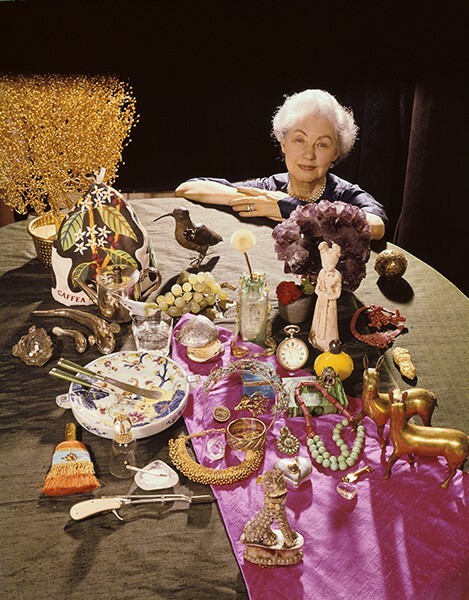 Soon after establishing the pewter workshop, and gaining a reputation for producing items of quality, Ericson developed the company into a design store, and it wasn’t long after that she was joined by Austrian architect and designer Josef Frank. 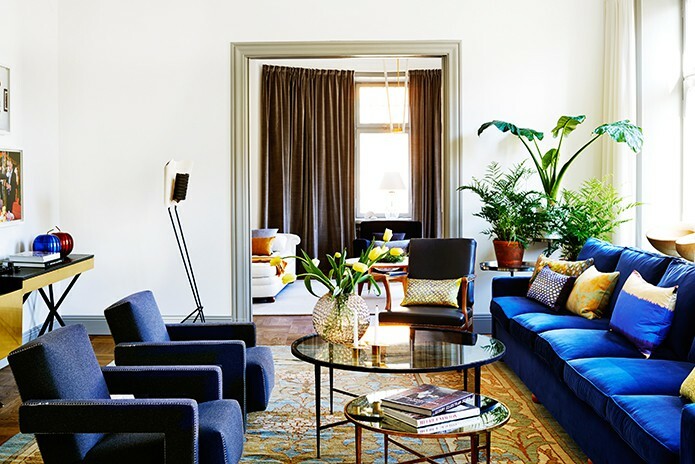 Together, the Ericson/Frank duo created a unique interior design style celebrated throughout the world and is as relevant and popular today as it was many decades ago. 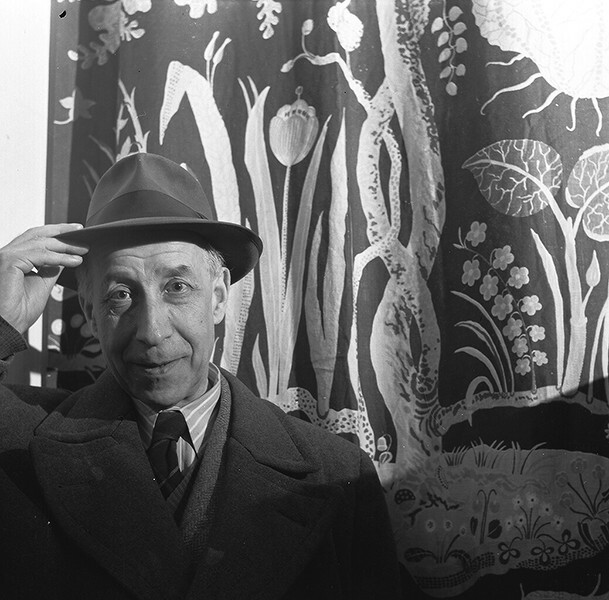 Josef Frank left behind a legacy of 2,000 furniture sketches, and approximately 200 textile designs, of which 160 were for printed fabrics and the rest for wallpapers and rugs. 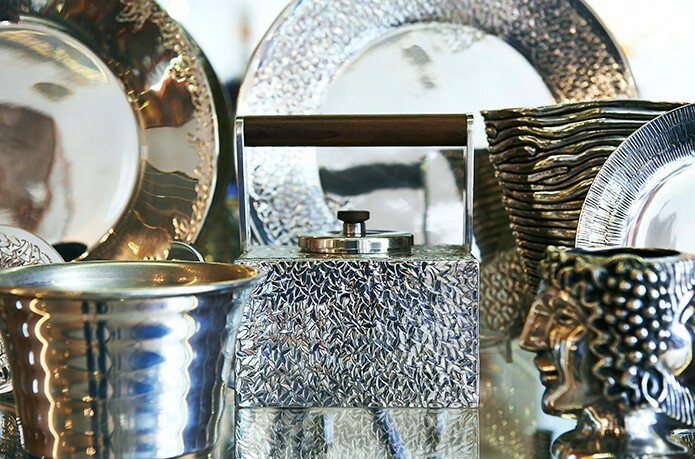 Even today, roughly eighty percent of items sold in the store have been designed in-house covering textiles, wallpapers, lighting, tableware, furniture, as well as pewter, amongst other items in the range. 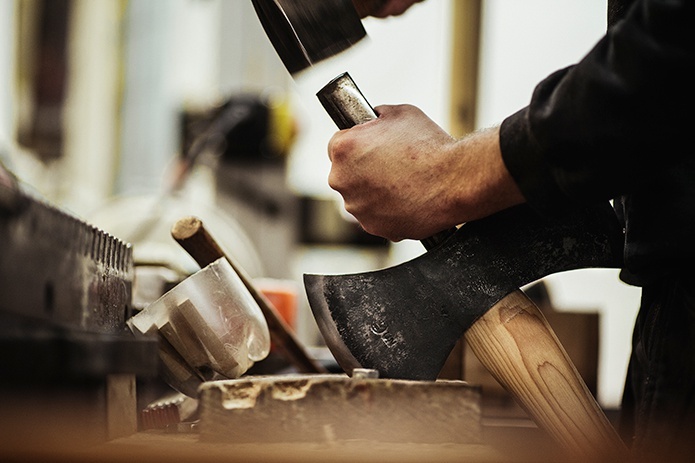 Svenskt Tenn don’t own the manufacturing of products, but instead rely on skilled craftsmen; the majority of whom are Swedish. Both the founding names of Svenskt Tenn, Ericson & Frank, had some interesting influences – could you give us an overview of how these came together in Svenskt Tenn? Each had their acknowledged strengths; Ericson was the entrepreneur with an innate elegance, talent for artistry and an eye for beauty and was capable of developing beautiful and unique moods and atmospheres, whilst Frank was very creative and productive; being a humanist what he produced showed a real sensibility to the contexts around him, and he had vision of humane, soft modernism. The resulting design philosophy was a combination of Swedish functionalism & modernism and Viennese elegance which had a timeless quality about it. Their successful union was built around a shared creativity and longing for beauty. There is an often-used quote describing their relationship: “She accepted everything Frank did, he did whatever she asked him to do”. Both Ericson and Frank shared the philosophy that if you put together things that you enjoy in life, together they can be beautiful; in other words: putting things together that work well together. I’ve heard the term ‘accidentism’ used to describe this philosophy – can you elaborate further on what this means? 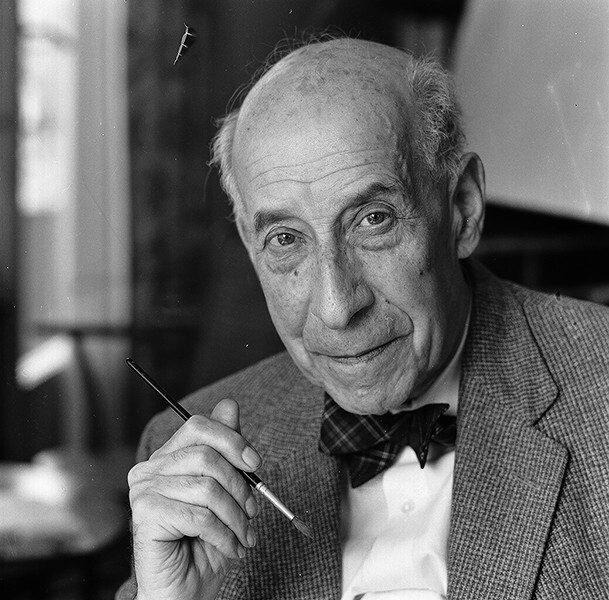 Josef Frank had a philosophy which he called accidentism. Essentially what this means is that everything should be free, so when he set a room, for instance, it would look as though it was done by accident, rather than strictly following a style, as he was a believer that interior design derived its charm through being unplanned. It was the same in his architecture; whereas Frank’s rationalist and functionalist contemporary – Le Corbusier – would be strict when it came to window placement, for instance, Frank would put windows where he knew people would want to look out, which to the external appearance would be placed as if by genuine accident. This has also been described as “The Happy Chances Philosophy”. Josef Frank. Photo Lennart Nilsson / Svenskt Tenn.
Is this philosophy still an ethos behind Svenskt Tenn? Very much so. 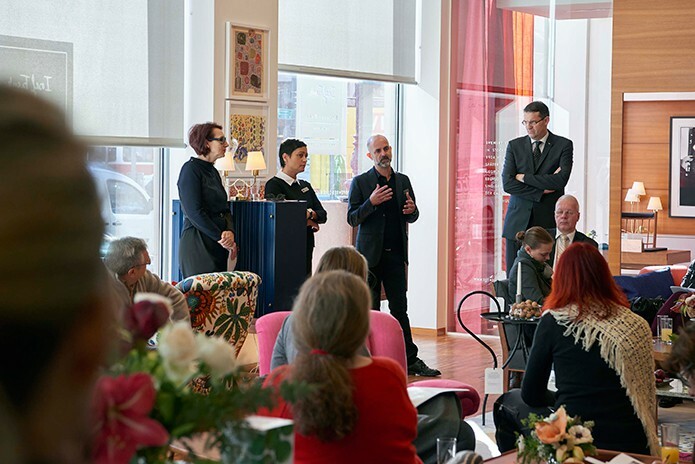 We have an interior design department where our architects and stylists still subscribe to that philosophy and blend Svenskt Tenn products with other contemporary interior design products sourced from auctions, for example, and combine them for the end client. Why do you think Svenskt Tenn became such a big name so quickly? Svenskt Tenn’s products were seen as exclusive and highly sought after, including Swedish royalty. 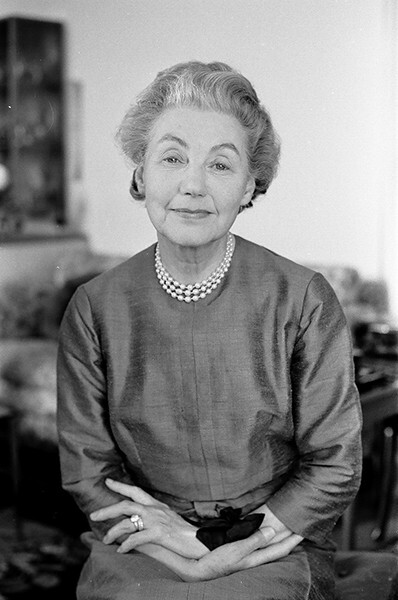 Not only did Ericson have a good eye for design, but she was ahead of her contemporaries at the time in marketing – she set the principle that Svenskt Tenn would never pay to advertise products, preferring to invite journalists, many of whom she befriended, to her home or shop and exhibitions for press events to show them what items she had curated from around the world. 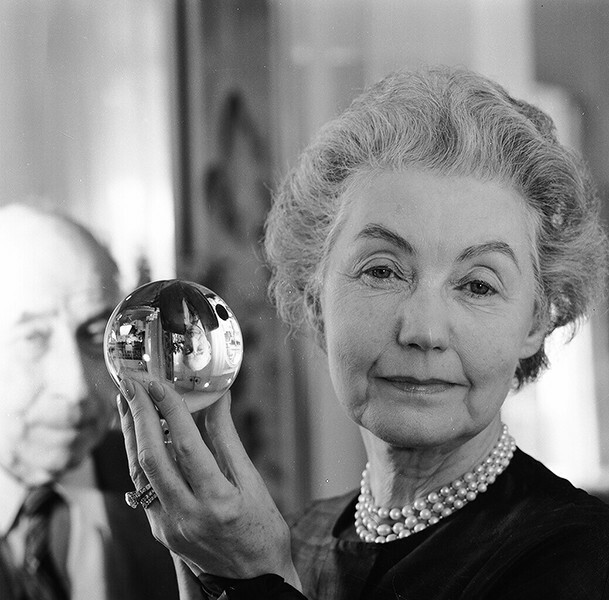 Ericson had a real skill for creating and organising interiors and exhibitions and her openings were well-attended and gained good coverage in the media as a result. Estrid Ericson. Photo Lennart Nilsson / Svenskt Tenn.
To what extent did the era in which Estrid Ericson live in early adulthood create the foundations for the evolution of Svenskt Tenn? This was a time of emancipation for women in Sweden, when there was so much more freedom. Ericson came from a small town in the middle of Sweden called Hjo; at the age of 19 she moved to Stockholm where she trained to be an art teacher, and then moved back to Hjo to teach briefly. Dissatisfied with teaching, she then moved back to Stockholm in 1920, where she worked for the craft organisation Svensk Hemslöjd and the interior design firm Wikman and Wiklund for four years. After receiving a small inheritance when her father died in 1924, she set up Svenskt Tenn as a pewter workshop – collaborating with pewter designer Nils Fougstedt who she worked with at Wikman and Wiklund. 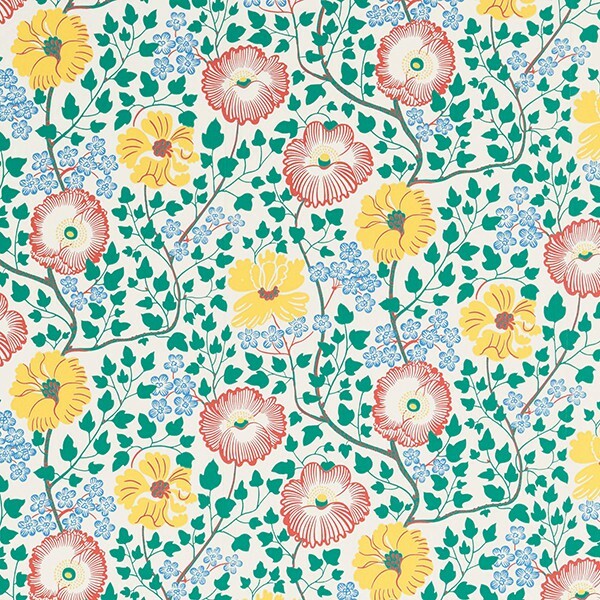 In the early 1930s, the ambitious Ericson wrote to Josef Frank asking for him to send some designs for furniture in her quest to broaden the range of items offered. Such flexibility, free of restrictions, wouldn’t have been possible in previous generations, whereby the domestics chores in the home were the preserve of women, whilst decorating and designing the home fell to men. The 1920s and 1930s were a time in Sweden when creative freedom for women could be found through entrepreneurship, and Ericson relished the opportunity. 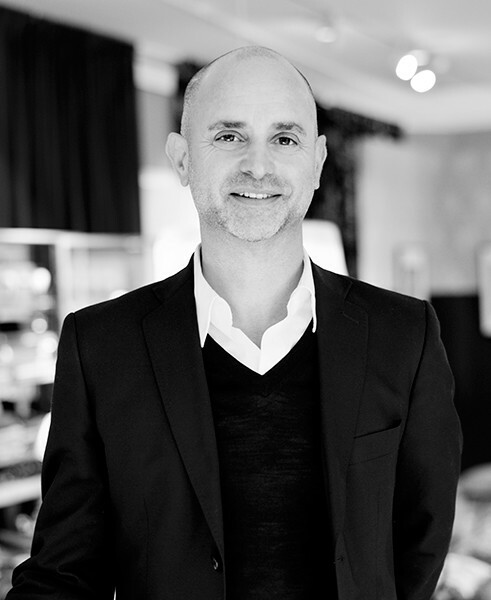 What distinguishes Svenskt Tenn from other interior design companies? There are many differentiating factors: The history. The quality. The design. The mixture of the historical and contemporary. But if I had to state one thing only, it would have to be the ownership – by the Kjell and Märta Beijer Foundation – as it affects everything. The Foundation was formed in 1974 through a donation from husband and wife Kjell and Märta Beijer; Kjell Beijer having made his money through the family’s trading house and his shareholdings in Beijerinvest, Märta having worked for the Svenskt Tenn in the 1930s. The Foundation’s aims are to conduct research into ecological economics, domestic animals, biomedicine and human genetics; essentially looking at how we can survive as a species on this planet. This stems from Kjell Beijer’s interests in agriculture and science and the work is conducted through the Beijer Institute and Royal Swedish Academy of Sciences. The relevance to Svenskt Tenn comes from the important research into ecological economics carried out by the Beijer Institute, specifically looking at the often-overlooked connection between human beings, nature and a sustainable and viable biosphere, and how we can make better decisions to make capitalism sustainable. 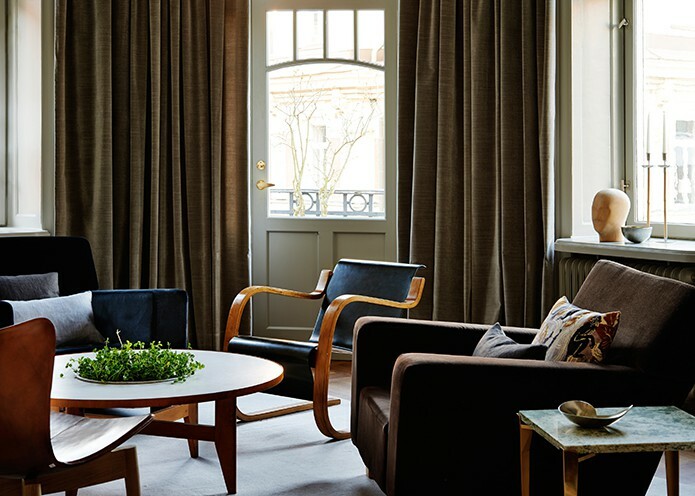 The Foundation made a promise to Ericson when she sold the company to them to create an enduring legacy to ensure the brand – and the full interior concept of Svenskt Tenn – would live for ever, as well as making a commitment to sustain Swedish design heritage & culture and support local craftsmanship. By being a foundation, with a structure that allows for long-term ownership, this promise can continue in perpetuity. An example of where the quality and culture of Svenskt Tenn is being protected by the ethos of the Foundation is the commitment not to change colours in the prints – to ensure Frank’s designs are left for the future. If I, as Creative Director, were to change the prints, even slightly, who would be able to say in 300 years, for instance, whether they were an original Frank design or not – who would know what is right and what is wrong? What we’re doing is securing the archive for future – everything is about the future! This is quite unusual for a retail company as our commercial objectives never affect the quality of the brand. Does that explain why the reputation of Svenskt Tenn has remained so constant? Absolutely. We wouldn’t have had the owner we have if Ericson hadn’t secured its future by passing ownership to the Foundation in 1975, and it’s debateable whether we would even be here. 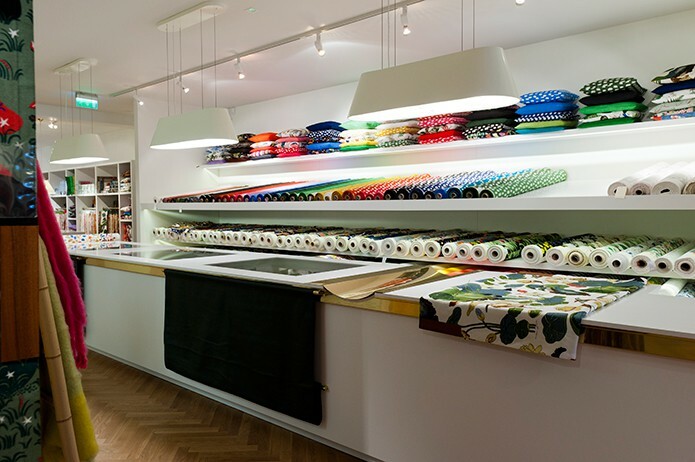 We get calls every week from buyers all over the world wanting to sell fabrics in their stores, but we have to say no. We once sold a few pieces in a section of Liberty in London, but as we didn’t have full control, we didn’t feel that it fully reflected the brand, so we discontinued the arrangement. The only other store that sells Svenskt Tenn is a small firm in Gothenburg which sells part of our collection which originated from a friendship agreement going back decades which we have honoured. Apart from that, no one else sells Svenskt Tenn.
Sure, we could be fifty times bigger than we are if we wanted to, but the brand would be gone as we would have sold-out the values of the company by becoming too available, too accessible, and we certainly couldn’t keep the craftsmanship aspect alive. We only ever have about 40-45 designs always in production, and so when we relaunch one, we let another one rest. We don’t have a private owner that wants to cash-in to buy a bigger house or a boat, we have an owner – the Foundation – whose charitable goals are entirely compatible with our own. 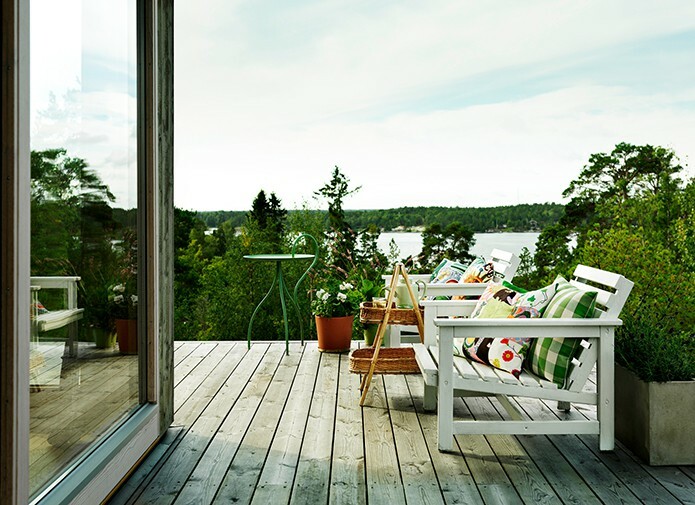 Svenskt Tenn is pretty much exclusively Swedish made – what would you say is so special about Swedish craft/production? 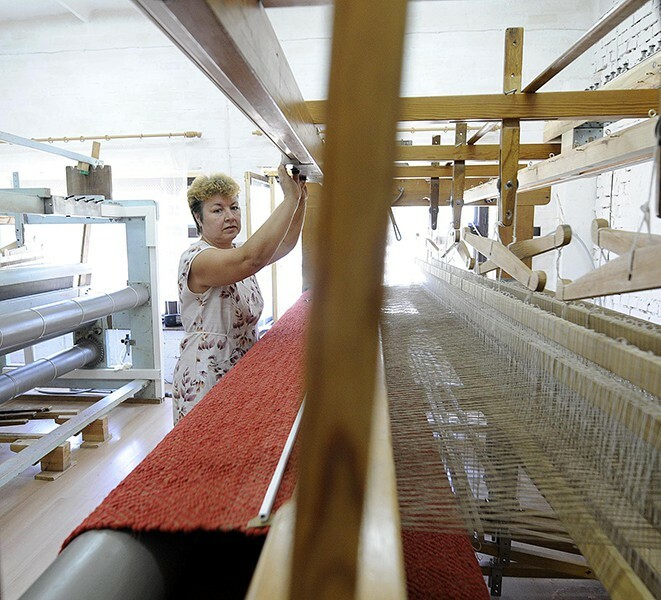 It is important to our heritage to keep production local. 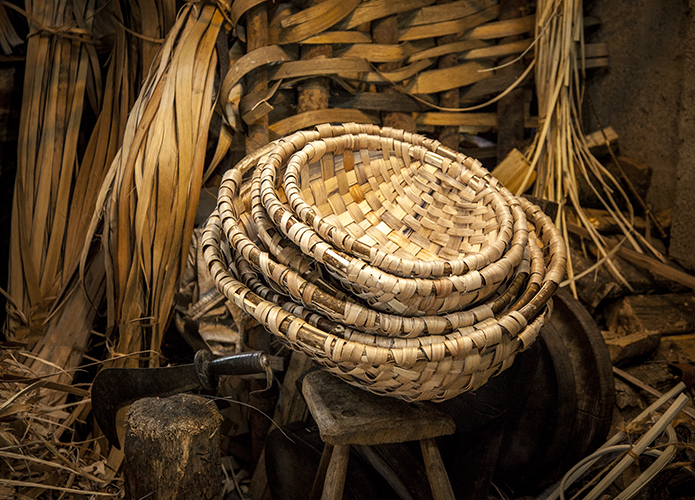 With the exception of glass production, the same things could be made elsewhere in other parts of Europe, or the world, no doubt more cheaply, but for us it’s important to secure crafts in Sweden. There is no regulation stipulating that you must produce in Sweden, but we choose to do so. I personally feel it would be a terrible if nothing is made locally, and everything had to be shipped around the world. 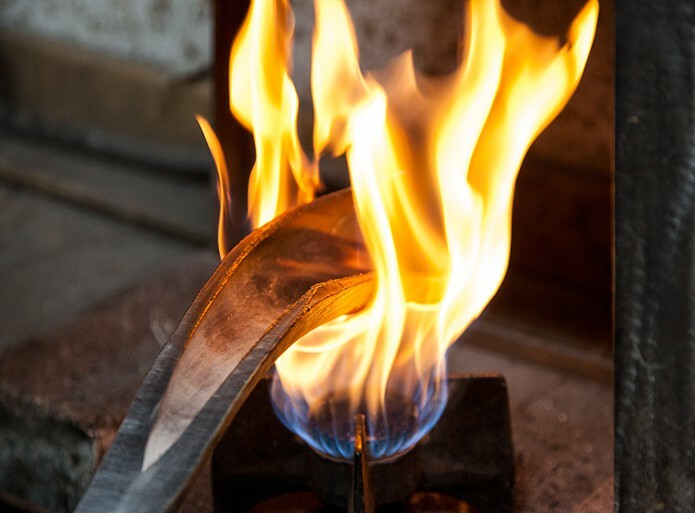 I feel knowing how and where a product is made gives it a greater value; even if you don’t know the craft behind the product, you can feel and get a sense that someone has put their energy into making that thing. Invariably, too, the materials from which the item is made are of a higher quality as it’s very unusual for a craftsman to put so much energy into making a handcrafted table, for example, out of cheap MDF. 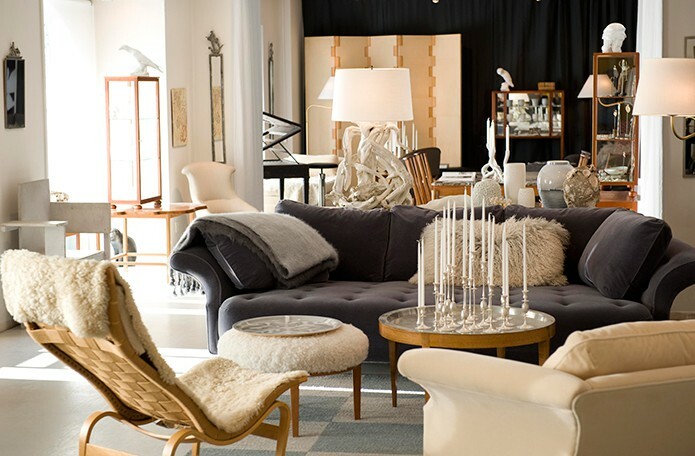 Retailers such as Svenskt Tenn have an important role to play. 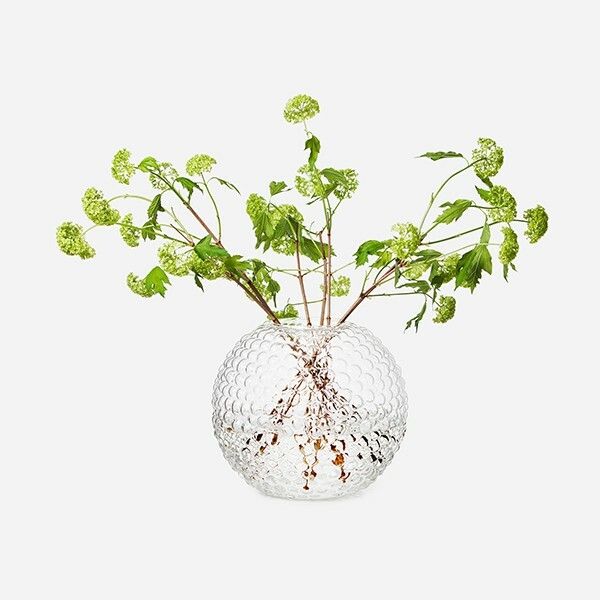 For instance, we had a glass vase made by a designer which has become very popular. The local glass production company that made them had to employ two new glassblowers to keep pace with demand. We can see that it really makes a difference to the local economy. 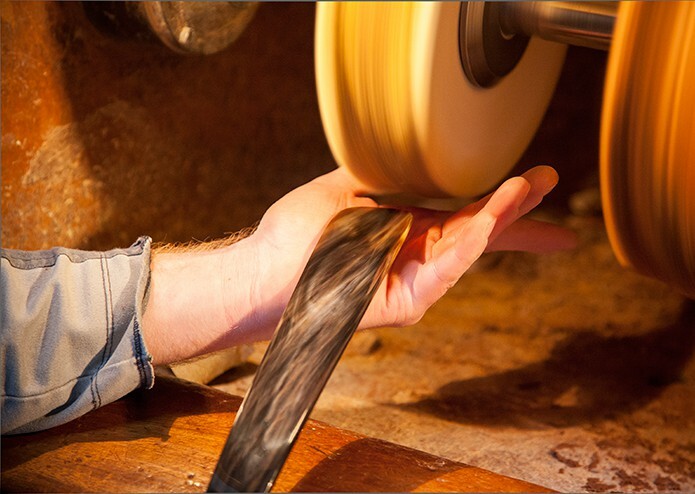 It’s an important symbiosis – we’re dependent on craft producers for producing high quality products, and they’re dependent on us for demand. 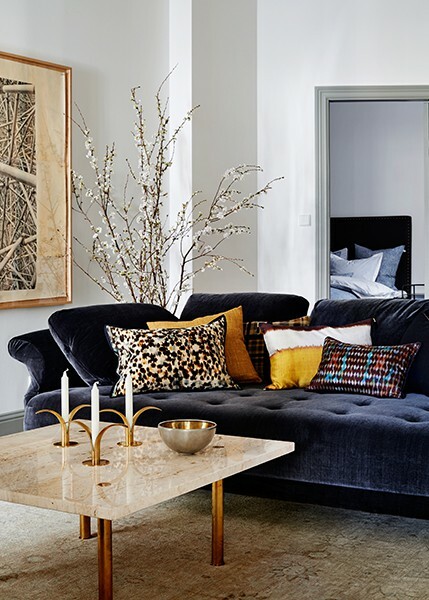 Svenskt Tenn seems to be a mix of paradoxes; old & new, modernism & artistry, elegance & functionalism, high & low cultures; how difficult is that to balance? It works extremely well, but it is a difficult balance, especially the balance between being a commercial institution and cultural institution. It’s very much out of a feeling, a gut feeling you could say, from knowing the brand and its history over a long time since 1924, and seeing into the future. We’re a link in a long chain, and we want to continue the line and preserving the cultural heritage for the future. If we cannot balance the paradoxes, we cannot secure the future. Everything is interrelated. 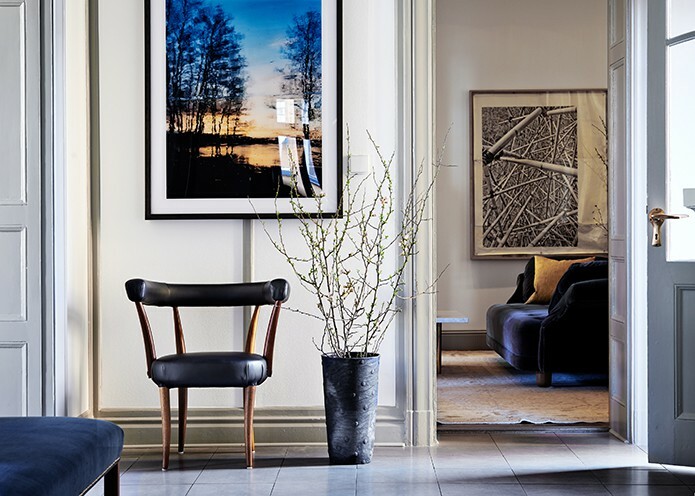 How do you think Svenskt Tenn, past & present, has contributed to Swedish interior design? Quite a lot, in fact. 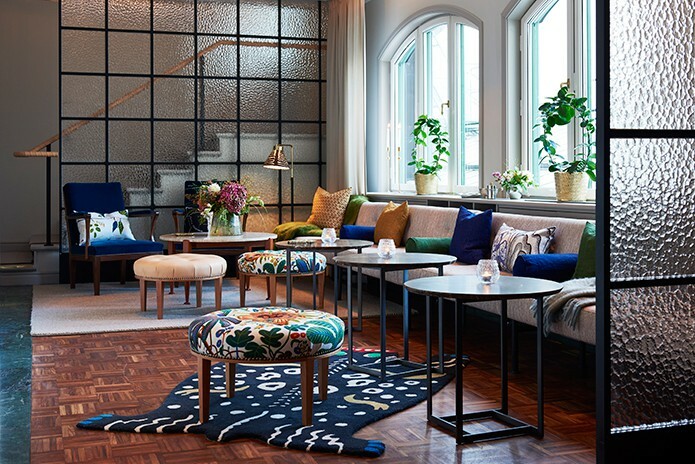 Frank brought influences to Sweden that were both amazing or shocking, depending on your standpoint, but what is undeniable is that they are an important part of Swedish interior design history. The materials and colours that Frank used were much freer than those coming from a minimalist and functional-thinking Sweden, and stem from Frank’s humanistic thinking. This was a totally different experience from what people have been used to previously. How does working at Svenskt Tenn compare to other companies you have worked for in the past? My role as Creative & Marketing Director puts me in a unique position, from working with a new product and how we market it – from design stages through to sale. What I’ve found is that the time-to-design process is much longer to secure the quality and craftsmanship than any company I’ve worked with previously. This long perspective often amazes new designers as to why we are never in a hurry. Everything is timeless here. 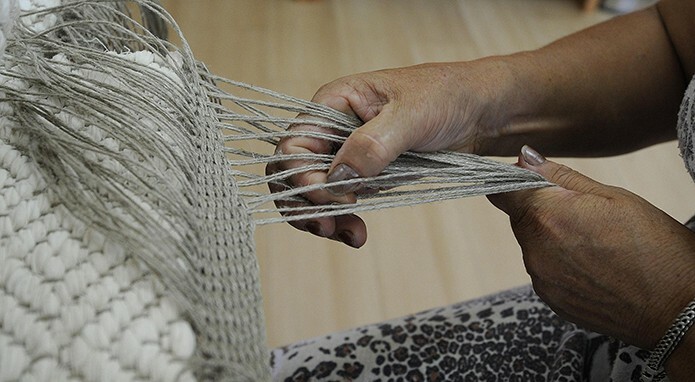 Customers are buying quality; quality products that they know will last, and we can’t rush the design and production process, and there has to be a connection and sharing of cultural values with anyone that we work with. There are so many dimensions here at Svenskt Tenn, and in many ways, it’s like a diamond – so many new sides and so many values in combination. 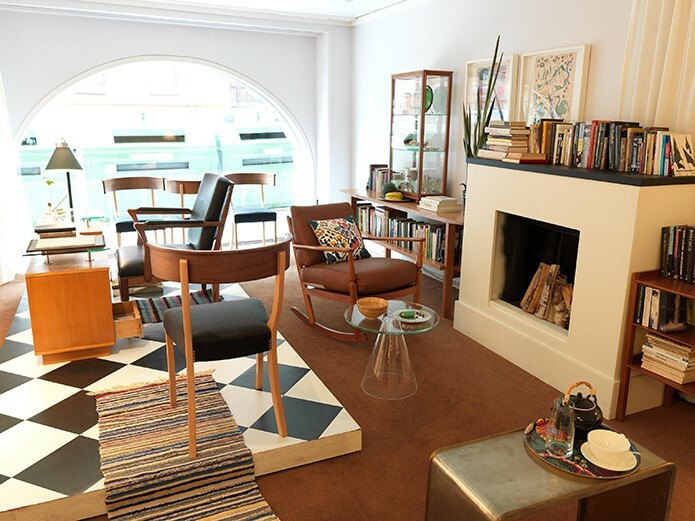 Many designers – Lee Broom, Dieter Rams & Josef Frank – have a background and/or interest in architecture – do you think this foundation puts them at an advantage as designers? No, I don’t think so. It’s all to do with the eye and the brain. There are fantastic architects that couldn’t make interior design, and vice versa; they don’t connect. I think it’s much more to do with a way of thinking and seeing things, and it so happens that these architects that you mention happen to have all round abilities, rather than there being an intrinsic connection in my opinion. As someone who lectures in design schools, what advice would you give to any young and aspiring designers? There is renewed interest in materials, so I think if designers can work with sustainability in mind, that could make a difference. Also, I think young designers should be careful about design process and production, and not make it too easy and too quick to make their work. Are your customers as eclectic as your designs? Yes, I think so. Of course, you can’t hide the fact that since what we’re selling are high quality products, therefore there’s a corresponding higher price range attached to them, so our customer base is wealthier than average, but we like to think we have different types of customers and I hope they are as eclectic as we see them. The philosophy of Ericson was that she always wanted someone to buy something from her ‘magic world of interiors’ irrespective of budget, as you can just as easily get a piece of Svenkst Tenn by buying a lower price napkin or candle holder at one end of the spectrum, to buying a sofa at the other. 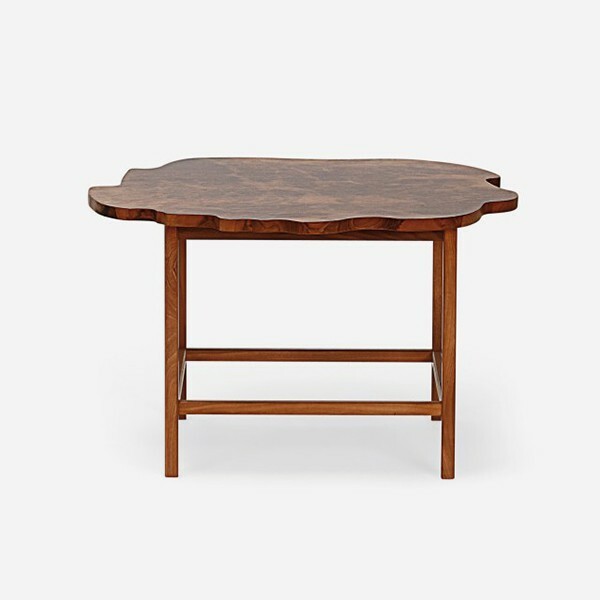 In fact, we wouldn’t suggest someone buys everything from Svenkst Tenn, as they’re meant to be eclectic to be placed amongst others – it’s not about each-and-every product, but how they are exhibited together that is important. What would you say lies ahead for Svenskt Tenn as we go further into the 21st Century? 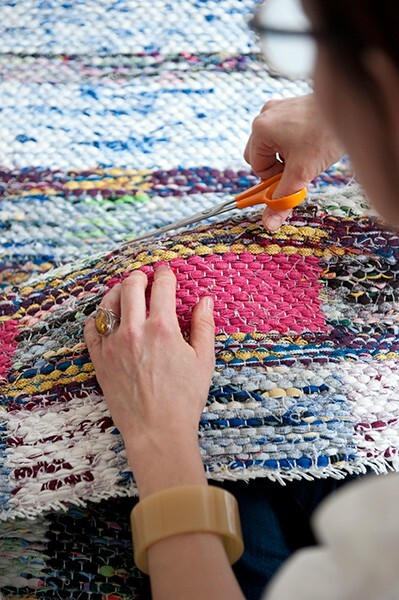 Our challenge is to ensure that we continue to work with local craft businesses, providing a degree of security so that the next generation in these businesses have an opportunity to take over the reins, ensuring their success and ours in the years ahead. 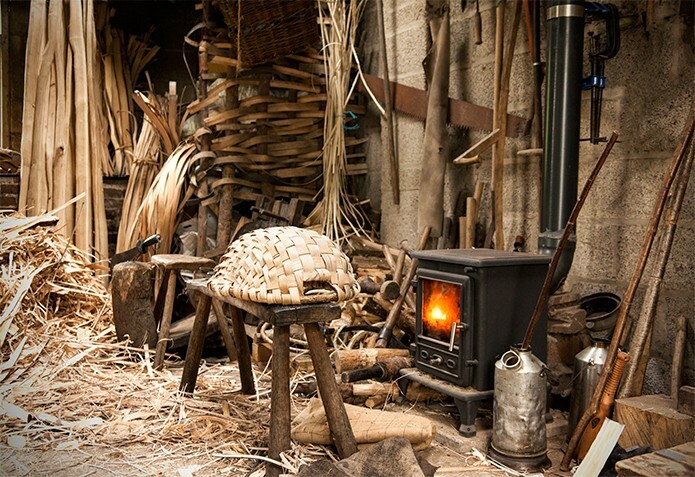 Providing jobs for local craftsmen, and giving money to research for the benefit of all mankind – securing this for the future – is so important and underpins our philosophy.